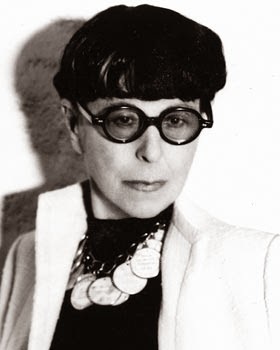 A small diminutive woman, famous for her Anna May Wong inspired crop and signature sunglasses – Edith Head may not have been a fashion visionary, but she knew how to concoct screen glamor like nobody before her or since. 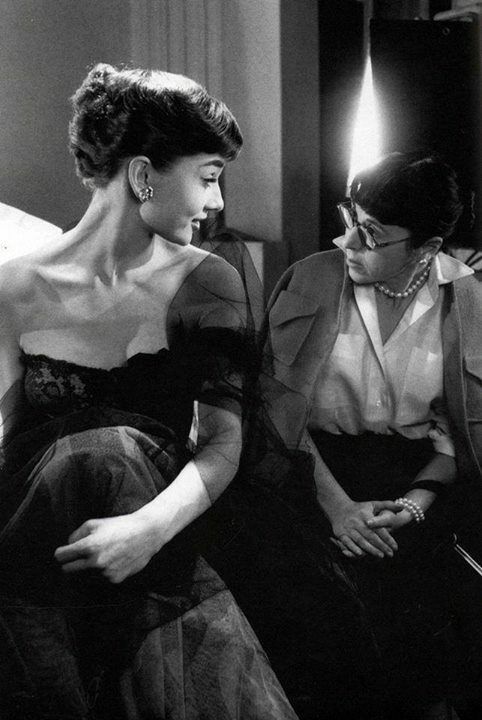 She managed to make clothes that not only conveyed the moods and ideas behind a screen narrative, but were also beautiful, flattering to the stars, and inspiring to everyday women. 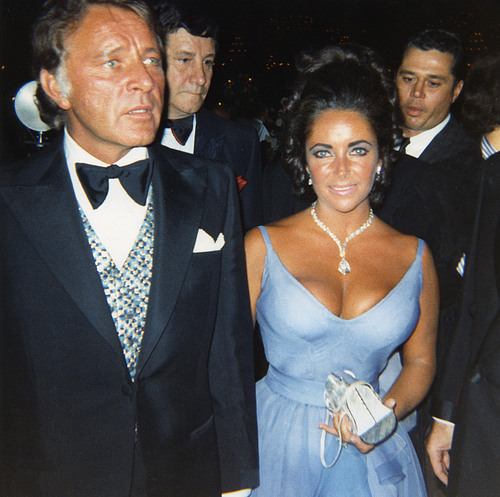 But she was sometimes economical with the truth, taking credit for designs she had not created, such as Audrey Hepburn’s bateau-necked black dress in Sabrina and Paul Newman and Robert Redford’s wardrobe for The Sting, for which she won an Oscar. 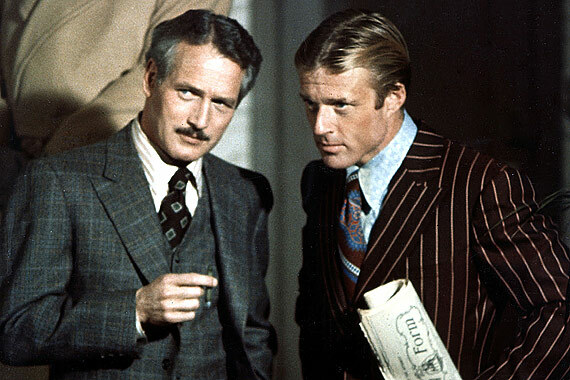 After winning the Oscar, she was sued by the illustrator who really designed Redford and Newman’s clothes. Always discreet about the size and shape of the stars’ backsides, she knew about all the skeletons in their closets but she was never one to gossip, although she did reveal that full-figured Clara Bow was known as “a sausage”, that Claudette Colbert was “mean-spirited”, and that Barbara Stanwyck was “frumpy” until she took over her designs. “Go on a diet!” Edith would instruct an overweight woman, while instantly making her look ten pounds slimmer by pulling her shirt out of her trousers, whipping a belt around her middle and swapping her cheap gold jewellery for her own signature pearls. 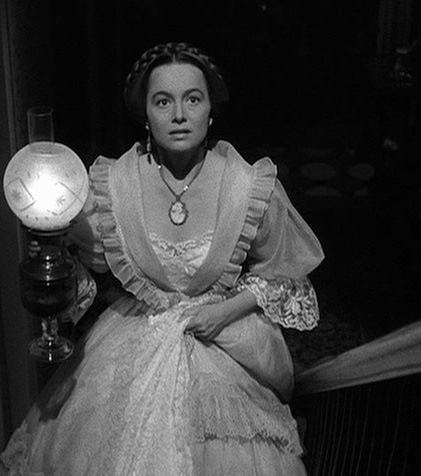 In the first year for which costume design becomes an Academy Awards category, she receives a nomination for best costumes in a black-and-white film, for Billy Wilder’s The Emperor Waltz, a period comedy set in turn-of-the-century Vienna. But no worry,in the following years Edith was nominated 35 times and won 8 Oscars!!! 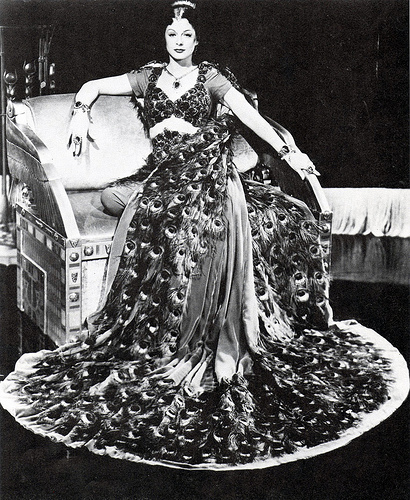 In 1966 Edith makes cameo appearance as herself in The Oscar, for which she also designs gowns. As more and more cinematic wardrobes begin to be bought off the racks, Edith remains one of the last studio costumers. 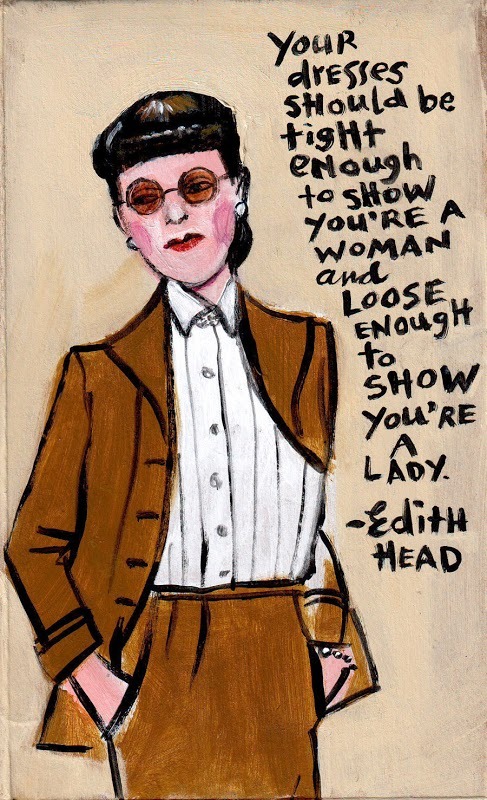 A year later How to Dress for Success, Edith’s advice manual for the career-oriented, is published. She moves to Universal after her contract is not renewed at Paramount. With her film work declining in frequency, Edith and June Van Dyke present more and more costume fashion shows—up to eighteen a year. In 1970 Elizabeth Taylor presents the Oscar for Best Picture to the makers of Midnight Cowboy wearing a curve-hugging, low-cut lavender dress by Edith. 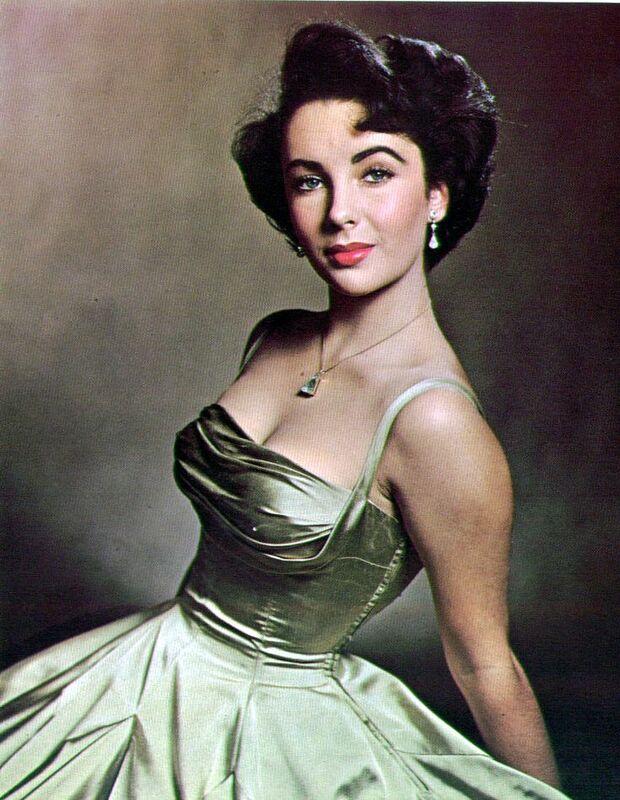 Young Elisabeth Taylor wearing a Edith Head dress. 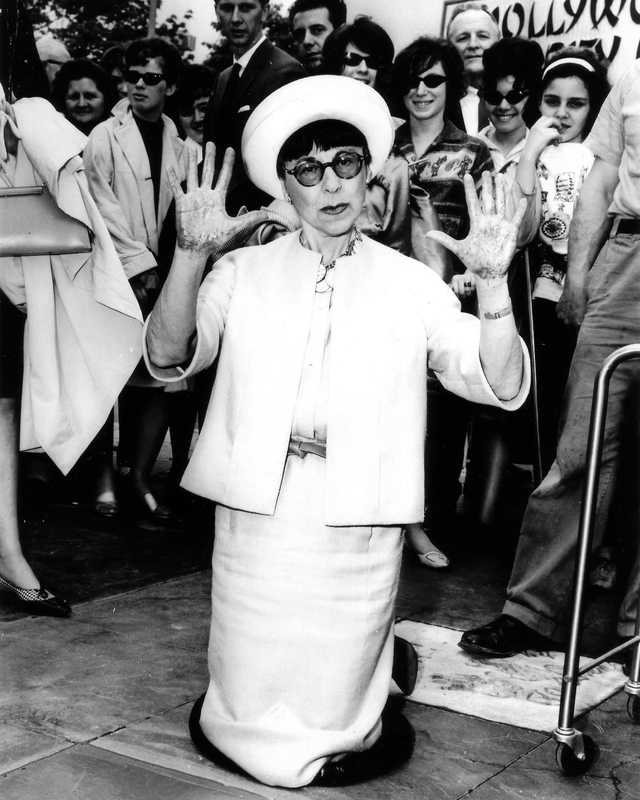 In 1974 Edith gets a star on the Hollywood Walk of Fame. She also begins creating sewing patterns for the Vogue Pattern Company. 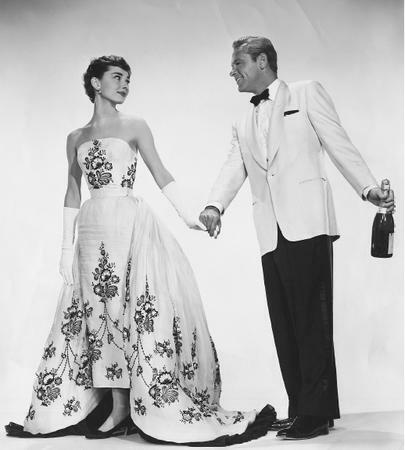 December Vogue toasts an exhibit at the Met, curated by former editor Diana Vreeland, of costumes from Hollywood’s heyday, including many looks designed by Edith Head. Edith died on October 24, 1981, four days before her 84th birthday, from myelofibrosis, an incurable bone marrow disease. 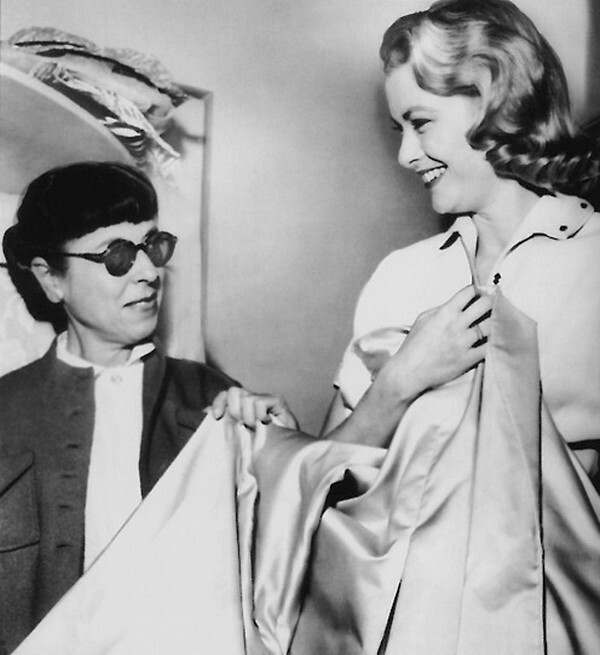 Edith adored Grace Kelly, for whom she designed many movie wardrobes. When Grace won an Oscar for The country girl, she asked Edith to design her Academy Award ceremonial dress. Edith was upset when the luminous actress slighted her by not inviting her to design the wedding dress when she got married to Prince Rainier of Monaco. She did create Princess Grace’s grey going-away suit, though. 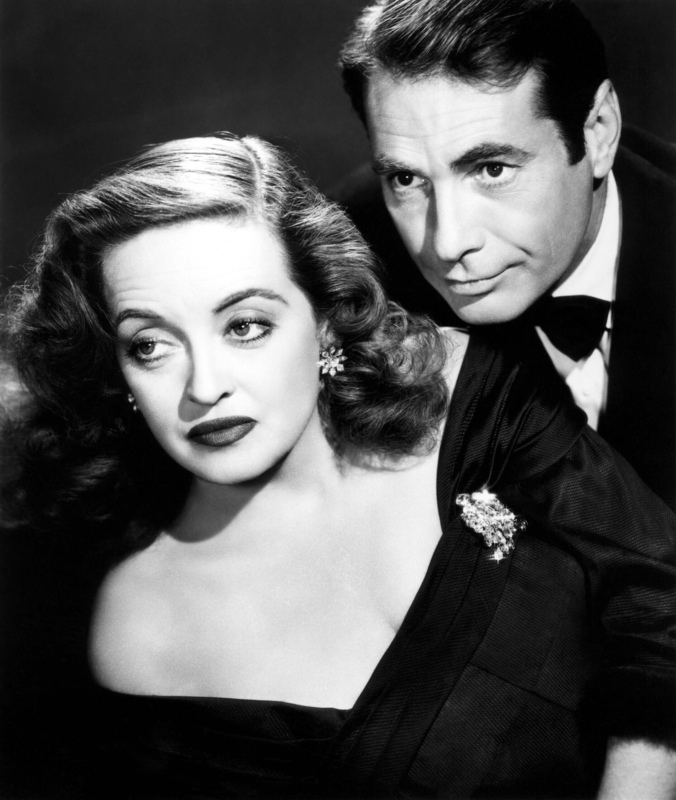 “Her life was all about glamour in the most glamorous place in the world, Hollywood,” Bette Davis once said of her. 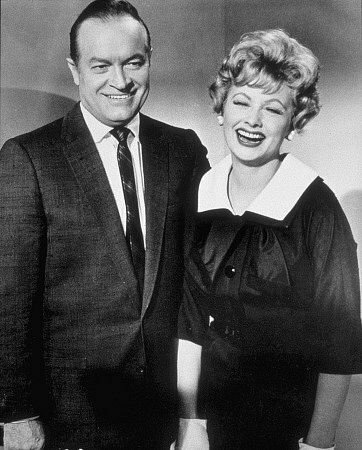 Indeed, it was Edith who designed the brown silk, sable-trimmed cocktail dress Davis wore as Margo Channing in the 1950 classic All About Eve, warning everyone as she swept down the staircase for the big party scene to fasten their seat belts because it was going to be a bumpy night. 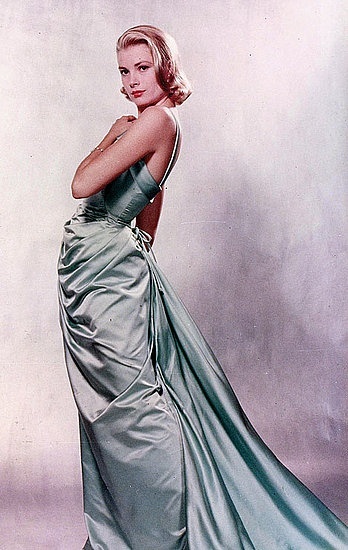 Bette Davis later bought the dress for herself, because she loved it so much – it had been square-necked, with a tight bodice, but when Davis tried on the finished gown the bodice and neckline were much too big. Edith was horrified, but the actress pulled it off her shoulders and shook one shoulder sexily, saying: “Doesn’t it look better like this anyway?” In the wake of this “accident”, Head won another Oscars for the film. 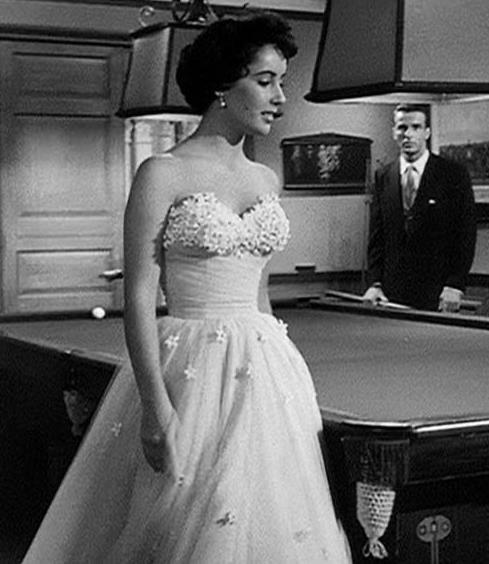 “The prototype of the perfect debutante dress, and every girl coming out or having her sweet-16 birthday party wanted this dress because they all wanted to look like Elizabeth Taylor in this movie, which was one of Taylor’s first films as an adult. It was a tribute to a typical ’50s gown: strapless top covered with silk petals, waisted in silk with a full, bold but lightweight tulle skirt with petals sprinkled all over. It became the prom dress for American teenagers when it was copied by all the leading department stores. 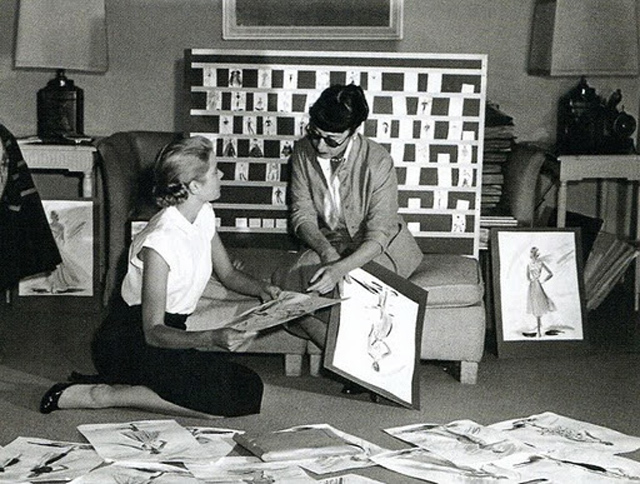 Although Edith Head won an Oscar for Best Costumes, the Capri Collection (Capri Skirt, Capri Blouse, Capri Belt, Capri Pants) was, in fact, designed by the European fashion designer Sonja de Lennart. 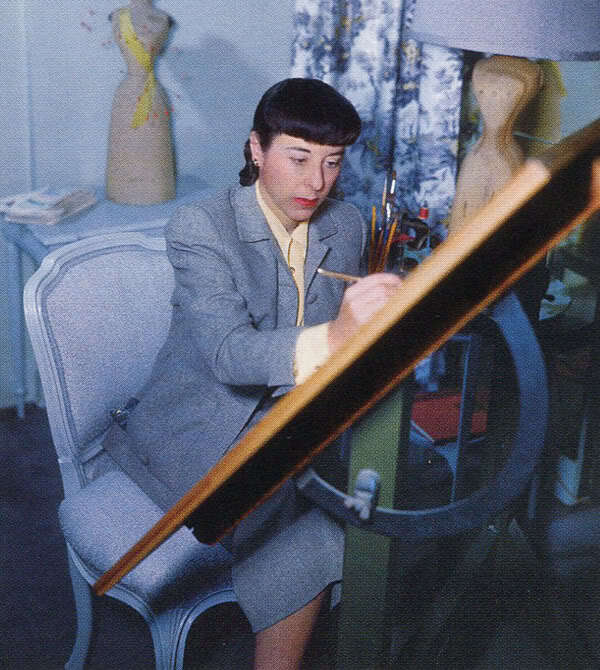 However, since the outfits were actually made in Edith Head’s Roman temporary Atelier of the sorelle Fontana—that acted as the costume department—Edith, Paramount’s costume designer, used only her name without giving credit to the original designer, Sonja de Lennart, as it was pretty common at that time in history. Costume designers around the world used only their names, regardless who created the costumes. 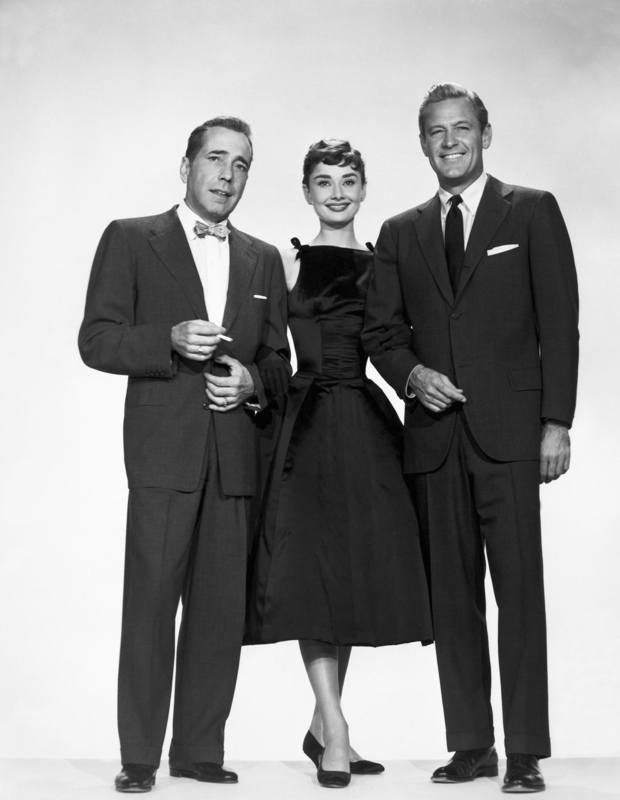 However, Edith was given credit for the costumes, even though the Academy’s votes were obviously for Hepburn’s attire. 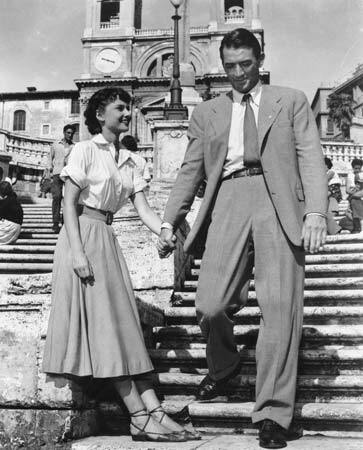 Sonja de Lennart’s Capri Pants were sewn and used in the next movie, Sabrina, by Hubert de Givenchy. 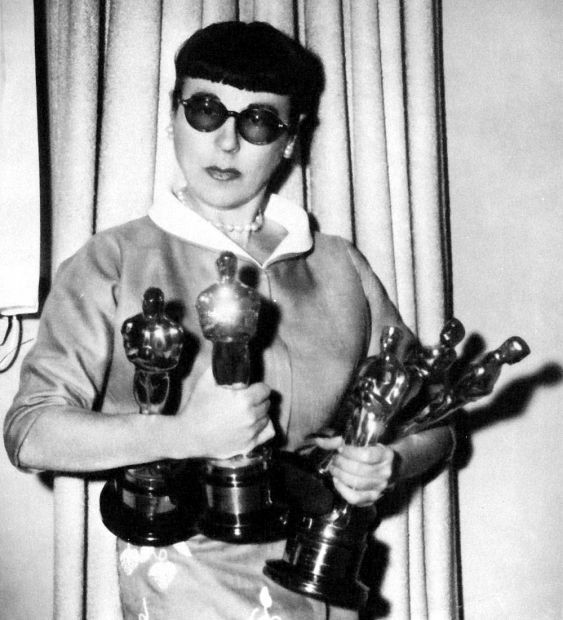 Edith Head did not refuse that Oscar either……. There are a lot of errors in this article in particular ET’s wedding dress to Burton. That was designed by Irene Sharif. So sorry, you are wright!